University College Lahore (UCL) has created its name in providing International Studies in the town. A real news would be for the students would be of UCL Affiliation with GCU for Management Sciences. 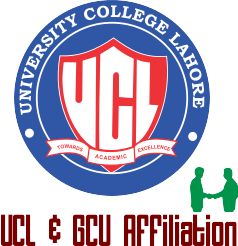 Students who want to be awarded GCU degree with programs provided under international standard education and environment have got the opportunity to acquire the desired degree from UCL. All courses provided at GCU are available at UCL.